An entire building of the US Army officer’s accommodation was remodeled into a youth hostel and it can accommodate up to 240 guests. 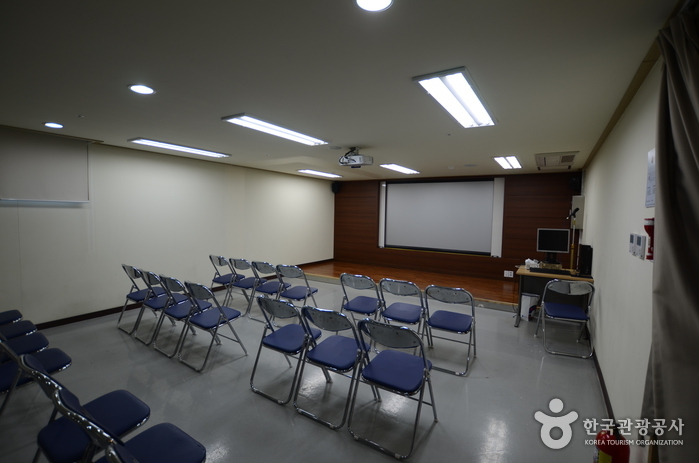 The hostel is comprised of an office room and a small auditorium on the first floor and rooms on the second through third floors, and a large auditorium on the fourth floor. To fulfill every need of the visitors, the camp offers diverse programs such as Security OX Quiz, making mini jangseung (totem pole), sotdae (wooden pole), camp playing activity, ‘Challenge DMZ Golden Bell’, and other exciting programs.